This mine was the world's major supplier of Tantalite during the twentieth century until its depletion by 1994. It is located 109 kilometres south of Port Hedland and 7 kilometres west of the Great Northern Highway. 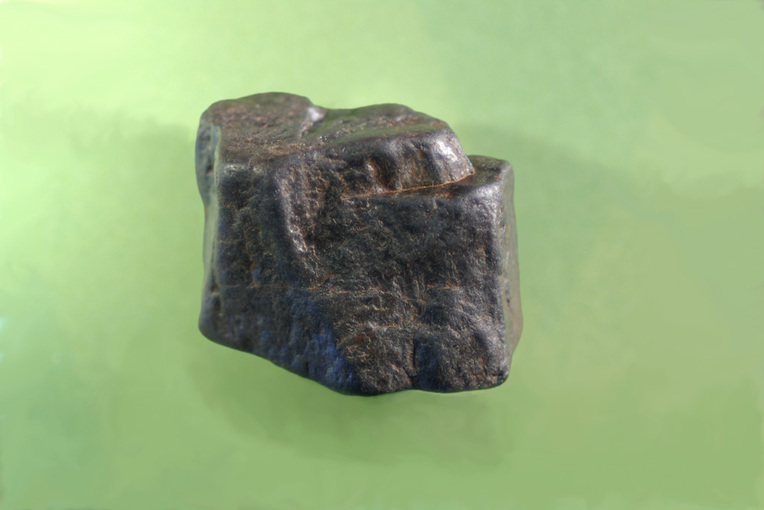 In the early part of the twentieth century, Tantalite was a rare commodity, and despite its remoteness, Wodgina supplied most of the world's Tantalite. In the early years of mining, the ore was carted by camel to the coast. Tantalite was discovered at the location in 1901 by brothers Francis and William Michell, who subsequently mined 70 tonnes of the ore between 1905-1909. A company called Tantalite Ltd formed by Lady Deborah V Hackett-Moulden and N.S. Young then mined the site between 1925 to 1943, exporting tantalite ore concentrate mainly to the United States. In 1943, the mine was taken over by the Australian Government as part of its wartime effort. 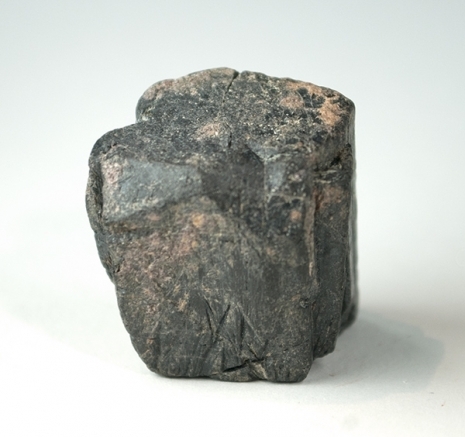 Tantalite concentrate continued to be exported to the United States, and in addition during this period beryl was exported. In 1927, geologist E.S Simpson had identified large masses of cesium bearing white beryl at the northern end of the pegmatite. It is thought this was used as part of the Manhattan Project, which was researching the development of an atomic bomb. After the war, Tantalite Ltd, continued to operate the mine, however, by 1953 it had run out of funds, and sold the mine to Northwest Tantalum Ltd. This company then found its new purchase to be uneconomic, and had reliquished the lease by 1957. Between 1957 to 1963 the mine was operated by prospector L.J. Wilson. In 1963 the mine was purchased by J.A. Johnson and Sons Pty Ltd, then by Avela in 1967, and Goldrim Mining in 1968. Goldrim formed a partnership with Goldfield Corp(New York) and Chemalloy Minerals Ltd (Toronto). The investigations into the pegmatite by this last firm discovered the new species Wodginite. Mining occurred sporadically until Goldrim formed a new partnership with Pan West Tantalum Pty Ltd, who opened open pit mining at the site in 1989. By 1994 most of the pegmatite had been removed and mining ceased. From 2012 Atlas Iron Limited was mining iron ore next door to the tantalite mine. The aplitic pegmatite is 670 metres long by 3 to 15 metres wide, and zoned: cleavelandite with tantalum minerals, spessartine, and minor quartz and muscovite; albite-quartz-muscovite with minor microcline; albite-quartz-microcline; isolated grey quartz masses core; sugary albite and Li mica; white cesium bearing beryl, lithium phosphate masses and lepidolite at the northern end only. A limited number of species are in circulation from the mine, thought to have been collected before 1989, when large scale mining removed most of the pegmatite. Local collectors have been turned away from the mine in recent years. 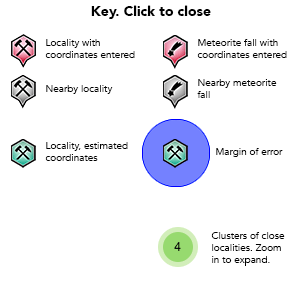 The Mindat listing of emerald for this locality is incorrect. E.S Simpson reported a prospector finding a few small emerald crystals 3.2 kilometres northwest of the mine as alluvial float, but the source of these emeralds is unknown. Government geologist, E.S. Simpson in 1928 made mention about a number of species at the mine. Whether any of it remains due to mining is another question. 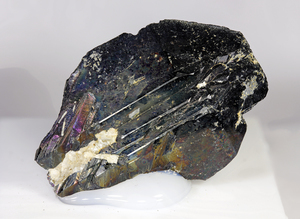 He states lithiophilite and purpurite are found in large masses. Unaltered it is pale grey in colour and translucent, weathering to amber yellow, then brown with blood red flakes (pure purpurite) and finally black ,stained by psilomelane. Apatite is found as narrow veins of white or pale grey apatite, in several masses of lithiophilite. One pegmatite has a large lithiophilite masses dotted with deep greenish-blue apatite pieces. 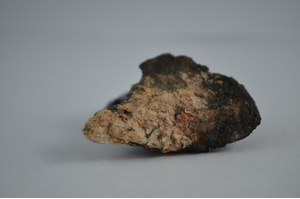 Scheelite is found in biotite schist next to a pegmatite, and occasionally in alluvial tin and tantalum. Several pegmatite veins showing spessartine garnet, being large shapeless masses, or small well formed crystals, very pale brown, yellow, pink, and in alluvial but coated with black psilomelane. Vesuvianite as dense drusy olive brown masses. One specimen of topaz seen. Large schorl crystals in pegmatite veins. Near spodumene occurs almost microscopic prisms of indigo blue indicolite. Yellowish nontronite as small seams in weathered amphibolite, and traversing jasper. Gangue minerals associated with the tantalite is albite, microcline, quartz, with lesser kaolin, beryl, spessartine, and lithiophilite. Tantalite shows as large masses, twin and single crystals. There are also several deposits of manganocolumbite. 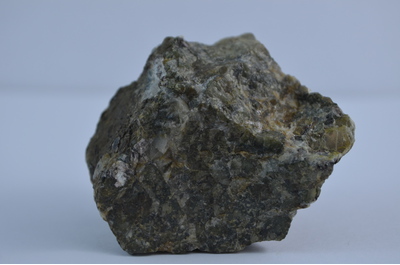 Ixiolite is found in the main lode as a homogeneous mass with no crystals. A little pyrrhotite is found associated with cassiterite in a biotite chlorite schist forming one wall of a pegmatite. Immense bands of yellow, brown and grey jasper plentiful in the western half of Wodgina. Spodumene is plentiful in a tin bearing pegmatite vein, showing as flat cleavable pale grey plates up to 2 x 1 x 0.5 inches. Beryl is found as large irregular masses, pale milky white, translucent, and resembling quartz. Reference: Simpson, Edward S. (1928) Famous Mineral Localities: Wodgina, North West Australia, American Mineralogist, Vol. 13, pp.457-468. Emeralds of the World English extraLapis Vol. 2 2002 pp24-35. Reference: Calderwood, M.A., Grguric, B.A., Jacobson, M.I. (2007) Guidebook to the Pegmatites of Western Australia. Hesperian Press, Carlisle, Western Australia. Reference: Simpson, Edward S. (1928) Famous Mineral Localities: Wodgina, North West Australia, American Mineralogist, Vol. 13, pp.457-468. Reference: Simpson, E.S. (1948) Minerals of Western Australia, Vol 1, p 95. Reference: Emeralds of the World English extraLapis Vol. 2 2002 pp24-35. Reference: Calderwood, M.A., Grguric, B.A., Jacobson, M.I. (2007) Guidebook to the Pegmatites of Western Australia. Reference: Simpson, Edward S. (1928) Famous Mineral Localities: Wodgina, North West Australia, American Mineralogist, Vol. 13, No. 9, September 1928, pp.457-468. Reference: Mason, B. & Dunn, P.J. (1974) An unusual occurrence of Bobierrite at Wodgina, Western Australia. 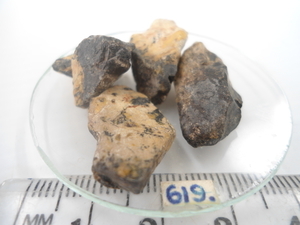 Mineralogical Record 5 (6) 265. Reference: Calderwood, M.A., Grguric, B.A., Jacobson, M.I., (2007) Guidebook to the Pegmatites of Western Australia. Hesperian Press, Carlisle, Western Australia. Reference: Bridge, P. J. & Pryce, M. W. (1974) Clinobisvanite, monoclinic BiVO4, a new mineral from Yinnietharra, Western Australia. Mineralogical Magazine 39: 847-9. Reference: Simpson, Edward S. (1951) Minerals of Western Australia Vol 2 (Facsimile ed. 1984). Hesperian Press, Carlisle, Western Australia, p.297. Description: Large masses some weighing a half a ton. Often severely altered. Reference: Simpson, Edward S. (1928) Famous Mineral Localities: Wodgina, North West Australia, American Mineralogist, Vol. 13, No. 9, September 1928, pp.457-468. Fetherston, J.M. (2004) Tantalum in Western Australia: Western Australia Geological Survey, Mineral Resources Bulletin 22, 162p. Reference: Simpson, Edward S. (1928) Famous Mineral Localities: Wodgina, North West Australia, American Mineralogist, Vol. 13, pp.457-468. Calderwood, M.A., Grguric, B.A., Jacobson, M.I. (2007) Guidebook to the Pegmatites of Western Australia. Hesperian Press, Carlisle, Western Australia. Reference: Simpson, Edward S. (1928) Famous Mineral Localities: Wodgina, North West Australia, American Mineralogist, Vol. 13, No. 9, September 1928, pp.457-468. Emeralds of the World English extraLapis Vol. 2 2002 pp24-35. Bridge, P. J. & Pryce, M. W. (1974) Clinobisvanite Monoclinic BiVO4 a New Mineral from Yinnietharra Western Australia. Mineralogical Magazine (1974) 39: 847-9. Mason, B. & Dunn, P.J. 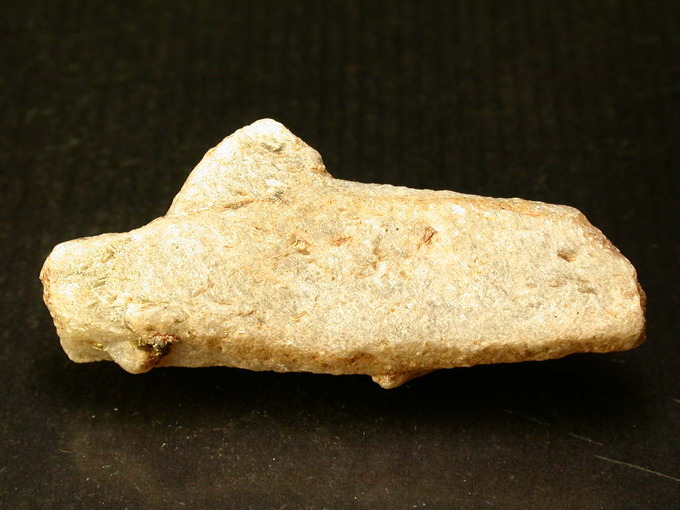 (1974) An Unusual Occurrence of Bobierrite at Wodgina Western Australia. 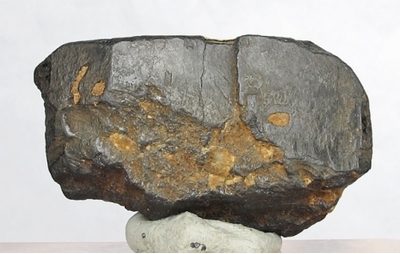 Mineralogical Record (1974) 5(6): 265. Calderwood, M.A., Grguric, B.A., Jacobson, M.I. (2007) Guidebook to the Pegmatites of Western Australia.